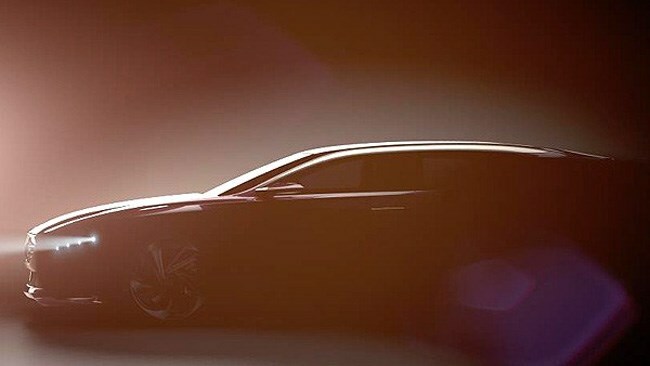 Citroen has released first teaser images of its new large luxury saloon challenger prior to the car’s full reveal at the Beijing Motor Show next month. The new large car, expected to be called DS9, will be aimed at the Chinese market and is set to offer an intriguing alternative to the Mercedes S-Class and BMW 7 Series limousines. Derived from the 2010 Metropolis concept car seen at the Shanghai Motor Show, the DS9 is a large car that, judging by the teaser shots Citroen has revealed on its Facebook page, now sports a shooting brake style bodyshell. This will give it added distinction in the marketplace and help it provide a leftfield alternative to the luxury Mercedes. The DS9 is expected to offer some form of hybrid drivetrain: the Metropolis used a 2.0-litre V6 petrol engine mated to an electric motor, and the DS9 may incorporate the Hybrid4 technology already seen on the Citroen DS5. Citroen may not bring the DS9 luxury car to Australia, though. The market for large luxury cars is strong in China, and the brand’s previous record of making unsuccessful luxury cars such as the Citroen XM is not an issue over there. The DS9 is more likely to succeed as an alternative to the Mercedes S-Class in China than it is down here.